Hospital management is the main field of research that fascinated Dr. Made Indra Wijaya. He published several manuscripts in International-indexed Journals and presented several articles in International Conferences. 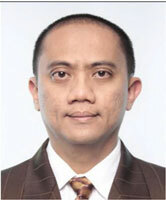 He got Indonesian Hospital Management Award, Patient Safety category for his research “Second Victim Support Program and Patient Safety Culture: A Quasi-Experimental Study in BIMC Hospitals” in 2017 and Customer Service Category for his research “Improving Patient Satisfaction Using Combined Service Excellence Program and IHI Virtual Breakthrough Series Collaborative” in 2018. The last research also won Asian Hospital Management Award, Excellence Award Winner, Customer Service Category, in 2018.